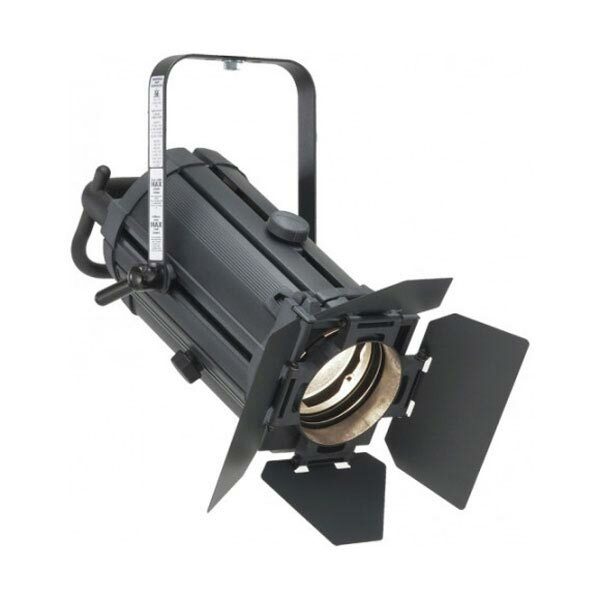 This Fresnel has an adjustable beam angle range of 6º to 60º. It can be fitted with 300W, 500W, or 650W lamps which make it the perfect choice for for your requirements. The lens luminaire has a soft edged variable beam that blends easily with others for even, controlled area illumination. Safe and easy to use general-purpose stage light; ideal for small theatre and studio, school hall and drama suite; and display lighting applications.